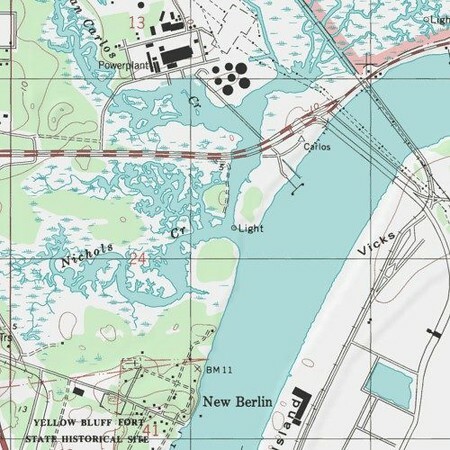 New Berlin remains, but it’s not New Burr-l’n. That’s how people who grew up here say its name. The shrimpers are gone. The Christopher family’s fish market is gone. Even the Grey Hotel, built in 1878 or 1880, long boarded up, was recently demolished. 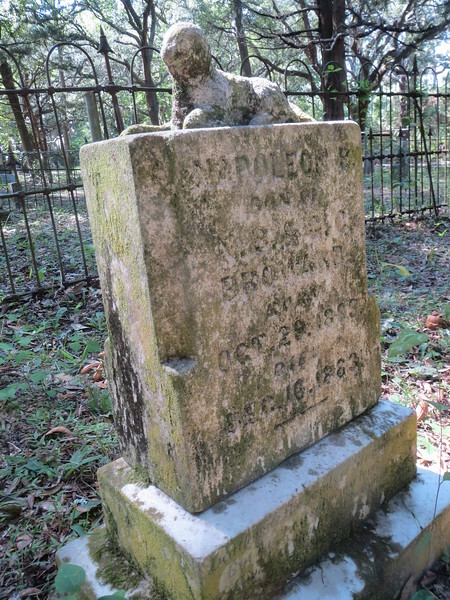 The fishing village began with Dr. Henry Von Balsan in 1860, but the oldest grave in New Berlin Cemetery dates to the short-lived community of Yellow Bluff, 1854. Having lived only six weeks at the end of 1883, Napoleon Bonaparte Broward, son of Florida Governor Napoleon Bonaparte Broward, is buried in New Berlin. 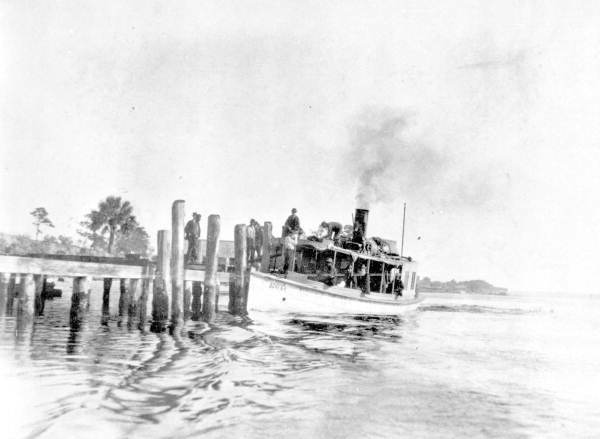 Von Balsan operated an impromptu Civil War hospital nearby at Dames Point and shortly thereafter administered the site as a quarantine hospital during Jacksonville’s Yellow Fever epidemics. 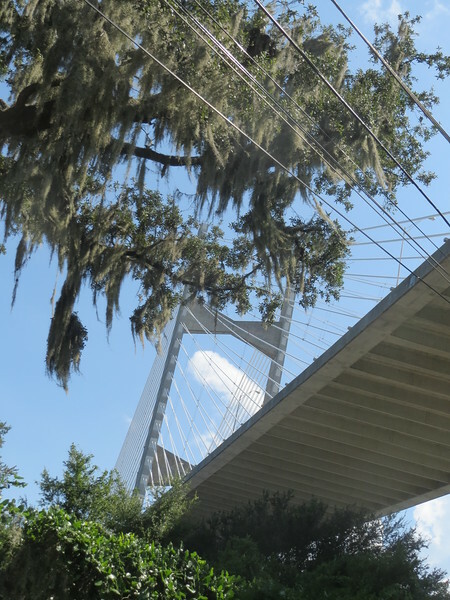 Today’s Dames Point Bridge soars over Quarantine Island. The doctor bought 50 acres of the arrowhead of pineland pointing across the St. Johns River toward Gilmore and Mill Cove. By the 1880s, lumber millers, beaver and otter trappers, and fishermen lived in and operated from New Berlin. Today, the Jacksonville Port Authority has almost completely devoured New Berlin and Dames Point, and what’s left floats in the body of JaxPort like a vestigial organ left behind by evolution. The restaurant called Christopher’s Pier is gone. Old Joe Christopher sold beer and wine and fish, certainly some moonshine, out of Christopher’s Pier back in the 1930s. Even the white boys in New Berlin called Joe Christopher “Uncle Joe.” When Joe’s son George took over the joint around 1949 or ’50, he made upgrades. Junior Hodge, who lived a year nearby on Goat Island when he was young, became good friends with George and calls him a sharp businessman. Christopher’s Pier was built from Apollo Street out over the river and George got beer companies to sponsor boat races just off the tavern. 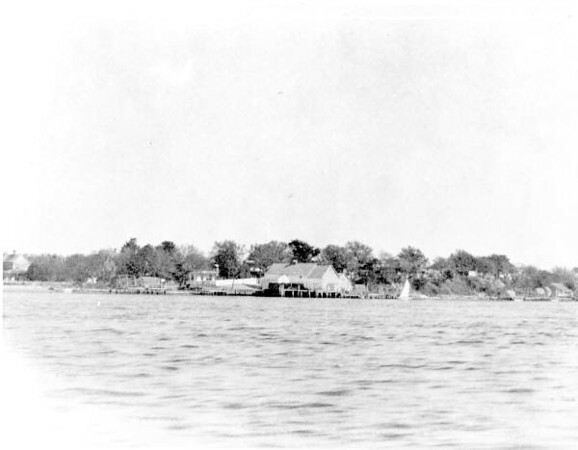 Just behind New Berlin, Fred Nichols lived on a little island called Fred’s Island in Nichols Creek. The island was and still is accessible only by boat. Fred was a fisherman, same as everybody else, and made a decent living, but only because he’d dealt creatively with adversity. New Berlin’s still here, but New Burr-l’n is gone.